If you own a fitness tracker, then it's pretty likely that along with information on step counts and distance covered, your wearable is also dishing out data on estimated calories burned. When we're talking calories burned, the body burns calories through digestion, maintaining basic body functions and physical activity. In the case of most fitness trackers, they're offering a way of calculating energy expenditure from physical activities recorded with your device. Whether that's hitting a spin class, going for a run or just walking down to the shops. Along with following a sensible diet, monitoring this information can be really beneficial in the quest to lose weight. Now there has been question marks over the reliability of how accurate fitness trackers are at providing estimated calorie burned data, so we've broken down how wearables currently deal with all things calorie related and look at how things could get better with wearables in the future. Essentially, fitness trackers currently take information from sensors like the accelerometer, which tracks your movement. Then they use their secret sauce algorithms, which differ from company to company, to give you the actual, running total of calories burned i.e. energy expenditure so far that day. Based on those estimates, you might make decisions such as what to eat, drink or not eat or drink. So, for instance, Fitbit has posted a (sort of) explanation of how it calculates this. It takes your personal data on age, gender, height and weight and uses this to estimate your BMR – basal metabolic rate. It says this accounts for half the calories you burn in a day i.e. the calories you burn at rest, and that's why you'll always start the day with some calories burned. 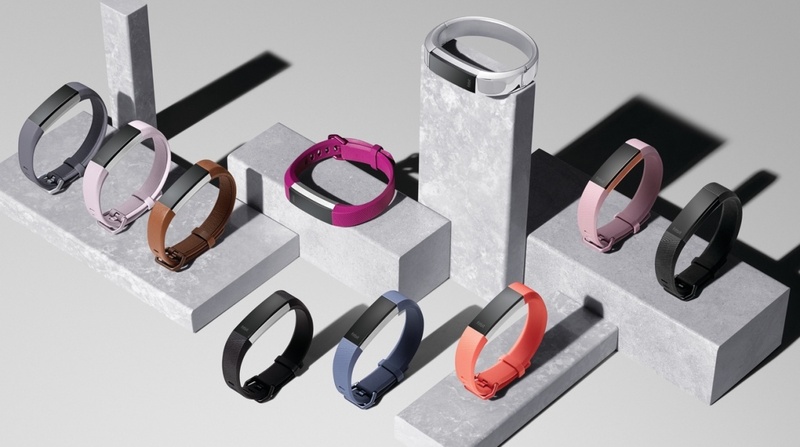 Fitbit says its calorie burn estimates are based on your personal BMR, activity tracked by your device's accelerometer and manually entered activity. This will be the basic method used by most fitness tracker makers. There's the argument that as long as trackers are inaccurate by the same number of points each day, you can still make progress. So if you sit around most days, the tracker should be able to clearly show you the days in a week or month you got out and went for a walk. But again, that's not good enough when a device's whole reason for being is to track your health and fitness. To give us an idea of how complex this estimation is, workout programmes can make calculations based on: age, gender, height, weight, workout length, workout type, your baseline fitness level, muscle groups used, muscle content and (for weights) resistance and amount of weight being lifted. One future challenge will be working out how much muscle mass you're using – this is one of the reasons why calories burned differs so much between different sports played for the same amount of time. So we need to add more data points when tracking this activity portion, which is added to your calorie burn at rest. When thinking about additional sensors, these could include heart rate and also metrics like perspiration, or to put it scientifically, galvanic skin response. These also apply to calories being burned at rest, not just your workouts, and as we said this is where a lot of the algorithms are running into trouble. This is because if a device doesn't take into account things like heart rate, respiratory rate and even your skin temperature, estimates are based purely on movement – which can be difficult to map to specific activities, even just pottering about the office – plus the age/gender/height/weight info. Calories burned through physical activity is just one of the ways that those calories are burned throughout the day and devices like the Healbe GoBe now promise to monitor that data through digestion as well so there's scope for other wearables to offer this in the future as well. An expensive, lab-style calorimeter, which measures your breathing and costs thousands of pounds isn't practical, so we're looking forward to seeing startups and companies exploring heart rate, temperature and GSR sensors. Whoever cracks calorie burn accuracy will definitely reap the rewards.